Donna Marie Johnson, 42 of Kingsley, passed away at Munson Medical Center on Tuesday, October 24, 2017 after a brief illness. Donna was born June 29, 1975 in Traverse City to Edwin Donald Johnson and Irene Marie Benac. Donna was a thoughtful and caring person. She enjoyed spending time with her family and talking to them on the phone. She loved to catch up with her weekly, sometimes daily phone calls. She looked forward to playing with her nieces and nephews and going to all of their birthday parties. 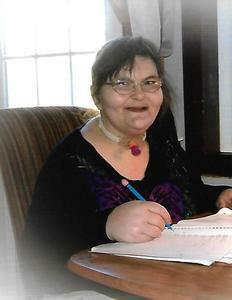 Donna enjoyed doing word searches, her schoolwork and playing cards and board games. She especially liked to play Euchre and Sorry. Donna loved ALL animals, but she was especially fond of cats and dogs. Most of all she loved food, all food except peas. Donna enjoyed going to Kandu Island in Traverse City to visit with her friends. She was proud of her time spent as a Salvation Army bell ringer. Donna is survived by her father Edwin (Patricia) Johnson of Manistee, her adoptive mother Ruth Sheldon of Kingsley, her grandmother JoAnn Benac of Alpena, her sisters Doris (Ralph) Sutherland of Beeville, Tx, Edna (Jason) McCaffrey of Traverse City, Brenda (Steve) McGuire of Traverse City, Evelyn Johnson (David Allen) of Lake City, and Bernadette Johnson of Kingsley, her brothers Corey (Donna) Egeler of Holland and Jessie (Heather) Egeler of Buckley and numerous nieces and nephews. She was preceded in death by several of her grandparents and her birth mother Irene Benac. Please join us in giving thanks for Donna at a memorial luncheon at the Summit City Grange Hall 9345 Church Street Kingsley, MI 49649 at noon on Sunday November 5, 2017. Memorial contributions can be directed to Brenda McGuire to help with Donna’s final expenses. Please sign the guest book and share your thoughts and memories with the family.